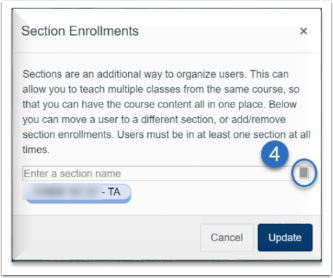 In Canvas @ Yale, you can restrict your Teaching Fellow’s access to be only to their specific section within the course. 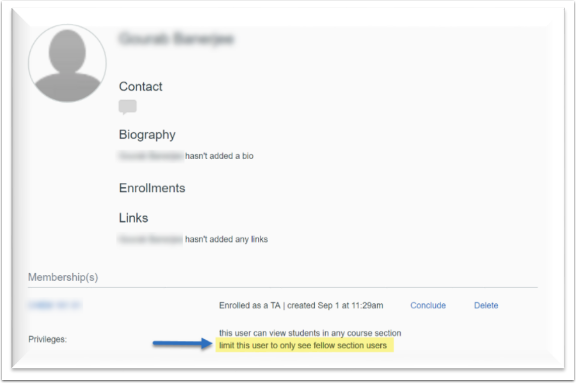 With having only access to their section, the Teaching Fellow will not be able to see or grade students in other sections of your course. 2. Find the Teaching Fellow, and click on the gear icon associated with their name. 4. Click on the book icon in order to search available sections. 5. Search and find the appropriate section and click on the section name. 1. Return to the People list. Click on the Teaching Fellow’s name. 2. 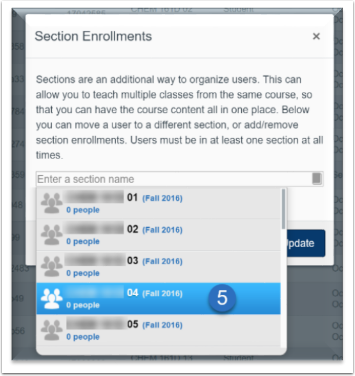 Under “Membership”, click on “Limit this user to only see fellow section users”. This will limit the Teaching Fellow to only their section.